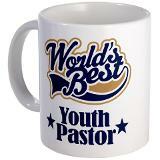 I started my ministry career as a youth pastor. It was a long time ago … like so long that people were watching Seinfeld and kids were listening to Foo Fighters. Now as a parent of a middle schooler I think back on those days with a certain amount of nostalgia and longing. Today’s post is an open letter to myself as a youth pastor back then. If Marty McFly figures out that time travel thing … can somebody take this post back to me? I know this is a bit weird … I’m writing you from the future. Things are pretty good here. You have two of the most amazing kids … you’ve had the chance to work with some pretty amazing people … it’s a pretty amazing place. But there a few things that I want you to focus on as you think about serving in your context. These items will help us better leverage our gifts and save us some late nights of worry. Small is Big. I know you worry about the big show … whether people are connecting with your talks … about whether the video clips are good … or if the band sounds ok. But the real key is the relationships with the small group leaders. Find some adult leaders who would will pour into the students. Thank More People. There are a lot cheerleaders out there helping you out. Take some time to thank them. Write more thank you notes than you do. Work with Parents. I know you feel really weird talking with parents … it’s okay because they feel weird talking with you! But “your kids” were theirs long before they met you and will be long after you’re gone. Work on Relationships. People that disagree with you aren’t enemies. It’s an opportunity for you to learn. Listen. Risk More. I know you think that huge youth event thing you do is a big risk. Big budget. Hundreds of students. Tonnes of logistics. Don’t just risk there. Do more of that. I know you think you’re a risk taker … but you could risk more for the kingdom. The grass is greener where you water it. Stop thinking about the next thing. Put down some roots and make a difference where you are today. You become your network. You tell your students that they become the friendships they keep. The same truth applies to you. Find the ministry leaders you want to be … spend time with them. Invest your time and money to get closer to them. Work on communication. Just because you do stuff people won’t just show up. You need to compete to get their attention. Working on how to communicate what your doing should probably take up about 30% of the project time. Engage Poverty. You will reach more students if you engage them in serving the poor in creative ways. Find a cause to plug them into. Stop dissin’ global compassion stuff … go to some developing country and find Jesus at work there. Seriously. You can do it. God wants to do some pretty amazing things in your ministry. Lean in and see what he can do. Don’t hold back. Time is short. I’ll be waiting here for you … cheering you on. This made me laugh out loud and get teary-eyed too! How cool would it be if we could teach our younger self the lessons we’ve learned? My favorite line which is something I’m still learning: “People that disagree with you aren’t the enemy.” Thanks for always being willing to share your heart for God. If you find a time travel machine … can you take this with you? Great post Rich. So many learnings you have put into words so perfectly! You have also challenged me to risk more and pay more attention to relationships, not just the big show. thanks! thanks for dropping by! What would you do different as a worship leader now, rather than when you were just getting into it? If you would have seen my hair when I was a youth pastor … you would agree that I should have shaved it earlier!